A small smile graced his lips as he watched events unfold. Now, it was Ichi's turn; With a small intake of breath, he let himself become lax. His leg muscles were slightly rested from his journey, but it was enough for him. As the beam of fire came searing towards him, Ichi raised his staff, the end glowering White. The White aura served various purposes, and this was one of them: It collected all the Spirit Power that had been used fromt he previous attacks, defenses, etc., and began to condense it enough that it would be able to exhert force on the beam. Now, Ichi didn't have long till the attack hit, and didn't want to have a hole through his chest, though he was sure it woud hardly hurt. Releasing the breath from before, he moved to the left, began to force the Spirit Power against the beam of fire, forcing it the other way slightly, then lowered his shoulder, and received a glancing blow atop the shoulder. He winced a little as he felt it run along his shoulder. There was hardly any blood loss, for the veins were burned shut from the intense heat from the beam. Ichi wiped sweat from his brow. Most of it was from that last burst of energy, but the rest was from the heat. He stared at his shoulder, his shirt had a line through it, but the Gold aura that weaved through it began to knit it back almost immediately, soon the wound would be covered up, and none but the spectaters and the two combatants would know. Ichi smiled. "That was close..." He muttered, then laughed a little. "We have hardly moved and already we are near exhaustion." He could only speak for himself, but that feeling would be gone soon. Ichi was never really tired when he used his Power during long periods, or short ones. The man was good at ranged combat, obviously. Ichi, briefly, wondered at the man's close quartered skills. He would rather not find that out, and chuckled as he shook his head. He twirled his staff in his fingers again, the wind whistling at he does. Soon, a small circle of the Red Spirir aura came to present itself in the world. Ichi's eyes were know glazed over; Strands of his long, dark hair, which was pulled behind his head, hung, now, in his face. With a light wince, he brushed them back with his left hand, his free hand. With a small sigh, he brought the staff down, the ground rippling with a small earthquake. As the echo of the earthquake vanished away in the distance, earth spewed from the pillars of Fire that erupted. Not Fire. No. It was the Red aura of Ichi's power, and instead of ten there were twice that, no, three times as many. They gave the impression of a burning fire, and produced false heat. With that being done, the earth fragments gathered once more, but instead of one ball of earth, it was many balls of earth. From the Red aura pillars, tendrils of the Gold aura seeped from them and into the earth balls. The earth eventually became pure Spirit Power. Now, Ichi spit onto the ground, but before the spittle finished its descent, Ichi grasped it within the White aura. The spittle expanded into a sphere, small though it was, and began to gather water from the air, and then was soared into the sky, where it come into play. For now, it simply stayed up there, out of reach of Ignis, though Ichi was sure Ignis could find a way. He shrugged and put those thoughts aside. Soon, the clouds were be disspersed and then water would begin to fall. Ichi sparred himself from the drops by putting up a thin layer of the White aura above him, as well as around him. While it would only stop the water, it would hardly stop anything else. But it served as a cushion to other attacks, and would absorb some of the force exherted upon it, thus making it more resistant to the next attack of the same attack. It was how the White aura worked. It didn't exaclty have a name, though it had many, it worked in all the ways those names described it as. Not even the most experienced fighter of Hayvn knew what the full extent of the White aura was. Ichi sighed deeply. This was the hard part. As the water fell from the sky, he was sure some of it would hit the man. Even the splatter from the water when it hit something else. With the main drops hitting Ignis, and then its smaller drops hitting him as well, it would create a pretty good attack if one looked at it the right way. If any of the drops were to hit the man, Ichi would drop the temperature around the water droplets, thus freezing them; But he wouldn't stop there. While maintaining the drop in temperature, he would make sure the temperature of each drop of water was low enough that the water that was frozen upon the man, if any, would shatter. While little, small shatters, they would cause an irritation and serve as a distraction for what came next, all that and it would also create various injuries that would surely bleed some. The air would be freezing all around, causing the water to shatter anyhow, and Ichi would feel some of the shattering as well, but due to the White aura that surrounded him, they wouldn't be felt for very long, though he knew he would have little bleeding nicks, though smaller and hardly worth notice. Thinking a little, he wouldn't wait for the water droplets to hit the man, but would instead drop the temperature in the air by use of the White aura, which would grow in temperature as an after effect of draining the temperature. Thus the shattering, small they would be, would happen long before they hit the two men. They would do minor damage if they are within a two feet of either person. Once more, Ichi's White aura would come into effect here. As the water started to fall and, eventually, shatter, Ichi prepared his next attack. While the man would, hopefully, be distracted, Ichi would begin; As the former earthen balls grew to twenty feet all around, the Red aura pillars shot out beams of itself, red beams, obviously, about as thick as a mans wrist, at Ignis. If these were to hit their target, he would get a feeling of hypothermia, then would feel heat, hotter than what he has experienced based upon how he resisted the heat, and then back again, and would continue the process for a few minutes. A slight graze would do the samething, but for a mere few seconds. These beams from the Red pillars would be hard to avoid due to their numbers. Ichi had no doubt of the man's ability to find some way out of this. This would be a mass effect for what will come, and what has happened; Meaning that future attacks would be harder to avoid for the man, as well as make him an easier target, but wouldn't hinder the man's abilities hardly. Ichi knew this flaw in that form of attack, but was willing to except it. After that form of attack was made, the now pure Spirit balls shot down at the man not finding the wind against it any hinderance, nor the gravity, though it wasn't fast, it was still fast enough to pose a problem to avoid. Now, these would simply put the man in a state of paralysis; Meaning that he wouldn't be able to move, nor use his abilities any further in this spar, concluding Ichi the winner. Ichi leaned against his staff slightly as he watched events take place, as he watched the man. He was getting tired; Physically from the strain his body was in from using so much Spirit Power without the aid of the Shared, as well as mentally, from using so much Spirit Power in this attack. All he could do now was wait for what the man would soon do, and Ichi didn't think he could actually do much. He beraided himself, and opened his mind up to the Shared, letting it fill his mind, his body, his blood. A new air of power, of confidence, was about him now. It wasn't an arrogant air nor was it a cocky air, it was simply an air of power and confidence. Ignis saw the water; felt the cooling effects of the moisture in the air, and before his opponent could begin to mess with the climate anymore, he simply burst into flames. His ignition gauntlets sparked two jade flames; one in each hand, and within a mere blink, they expanded and compressed into a spinning column of writhing blue fire. The flaming orb as it was; overlapping itself and constantly feeding on the air; whether moist or not, instantly turned the falling rain/ice into mere mist, and then quickly burnt the hydrogen within. Creating small spurts of dazzling white fire that would leap from the spinning sphere around Ignis, and purge the moisture from the nearby air. With a quick punch of the earth below him; a gout of flame righting his body, Ignis began to spin and step; leaping from side to side, changing his height and stance with fluid moves, as the spheres narrowly missed him, and battered the earth around. He narrowly avoided one as it entered and exited his vortex of blue flames, and another hit the earth below him as he jumped.. but so far, he had dodged and avoided them all... Continuing on; for what seemed like forever to Ignis, he finally came to see the last of the spheres racing towards him, and this one.. he couldnt outright avoid. So with arms reaching out to his sides; fire all around him, Ignis screamed a wild and ravenous scream into his own protective shield. From the foremost point of the bubble-like structure, a massive blast of white flame leaped forth. It burnt the air around it; leaving an acrid stench about, as it spun into contact with the sphere, and stopped it in its tracks. It may have continued to move afterwards; Ignis not waiting to find out, but there was no need to avoid it anymore, as he quickly began to move around the 'arena'. Ichi watched in amazement as Ignis ran, jumped, slid, and did just about everything he could to avoid the sphere's. He wasn't really surprised at how he managed to evade the beams, nor the water droplets. Ichi simply needed to get an assessment of the man before him. And he got it. The man had amazing stamina, but Ichi simply needed to drain the man's energy. He was glad the dragon hadn't interfered, and that Ignis hadn't summoned it. Ichi still wanted to go will to will against the dragon. He knew what would happen, but would accept that. Ichi simply wanted to find something that would test him physically as well as mentally. Ichi snarled fiercely as he watched the man run at him, the man's constant changing of direction, and his motions were rather annoying."Enough." The word was barely audible, but with Ichi in touch with the Shared, it was louder than it should have been. The earth began to rise up in walls, forming barriers in the way of the man's direction, and each time he changed direction, a wall was there to meet him. Ichi knew that with the flames being has hot as they were, the walls of earth would hardly pose a problem, but it might make the man hesitate. Ichi did nothing but stare at the man; His light bronze eyes, glazed over, watching each movement."Now. That isn't good.."
Ichi could feel the flames getting hotter. Something had to be done. Ichi smirked impishly as an idea struck him. Why hadn't he thought of it before? This would be a dangerous thing for him to do, Ichi knew this and was willing to take that risk. With a deep intake of breath, Ichi stopped the water from raining down, drawing what was near himself towards him, then with the same thing with the air. He began to condense the air into a paper-thin, pencil thick beam of a sort. Now, he laced it with the Shared; the pure, raw Spirit energy that all of Hayvn gets its power from, and was bending it to his will. He had done so on many occassion's, it wasn't new to him, but it made him feel... Empty. Lesser than what he was, you could say. It wasn't the truth, but it felt like it. This would ensure that the man wouldn't be able to use it as fuel for his flames without having to exhert more power than he normally would have to originally. Taking only a few moments in doing this, Ichi sent the "beam" of Wind at the man, but only after doing his next form of the attack; The other purpose of the Shared being laced on that Wind "beam" was to make sure it followed that man until it hit him, or was disbanded in some way. Now; He spread the water out infront of him, then began to fill it with Fire. This created steam -- steam that would sear the flesh from how hot it was. Now that it was formed infront of him, he allowed the Wind beam to be released. It flowed through the steam, giving it the property of the Shared as well, and began to trail behind it; it formed around the Wind as it raced across the 'arena' towards Ignis. The Shared allowed it to follow where Ignis went, but also allowed the Wind to travel at speeds hardly imaginable. The Wind wouldn't peirce the man, no. It would become blunted before impact, but the power of the Shared behind it, and the speed it was traveling, would become a bone crushing blow if it hit the man. As that was going on, Ichi began to gather forth the remaining Spirit Power around him, as well as within five feet of him; His staff allowing him to draw the Spirit particles farther away; They blanketed him in a cloak of Red, White, and Gold. He was glad he had used the Shared to restore him back to his former strength, though not completely. Now, he was simply gathering for another attack as well as a defense. The Red Pillars of the Spirit Power began to glowered a blue color, it was nearly black from how dark the color was, as he fed the Pillars with more and more Spirit Power, only what he had gathered from the outside, not from within himself. The Spirit energy within himself was growling, roaring, as it awaited to be released in one last attack that would conclude the match. Wall after wall was placed before him; mighty earthen structures rising every time he turned and moved, as he ran sideways, forward, odd ways, and all ways, maneuvering in a form of serpentine towards his enemy. He stepped lightly around walls as they melted near him; jumping over a few before they could rise too far, and as he continued to dash every which direction; slowly gaining ground on his opponent, something else began to happen. From Ignis' body sparks began to emerge and leap; jumping like crescent moons from his shoulders to the ground and the mutilated air, as he patiently stored and drew more energy to him. Compressing more air and fueling his flames to an even hotter extent. The leaping spasms of electricity were a result of the air itself being rubbed raw. The very moisture in the air being pushed and pulled by the heat and wind: Friction creating first heat, then electrical discharges, and as he moved ever closer to his opponent, he was a veritable wall of electrified flames. His body could no longer be seen through the haze of sparks and fire; a ten foot wide sphere of shimmering and compressed blue dancing about him in an angry orchestrated tune, as he stepped to within thirty feet of his opponent and suddenly stopped. 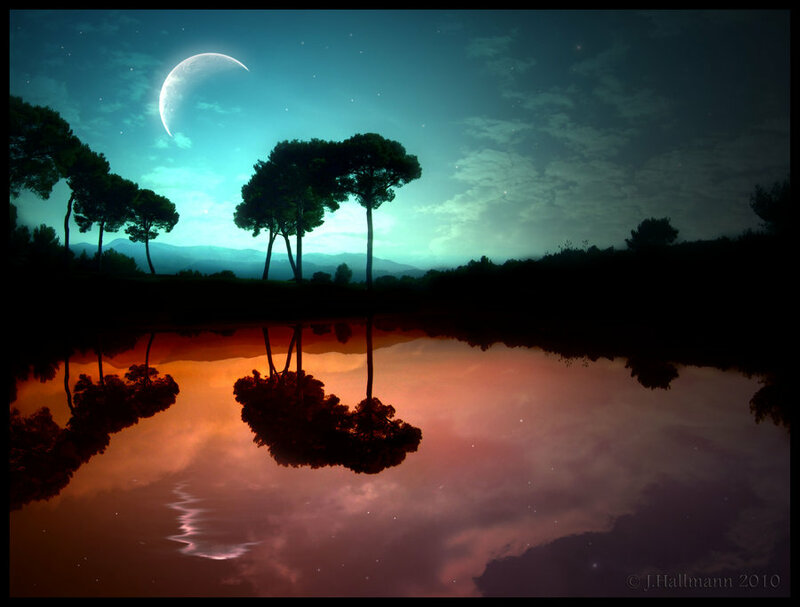 All was placed upon that single moment; the moment when two mights would meet, and two energies would clash. He gave not but a glimmer of an instant over to curiosity before setting his plan into motion. One which until now, was unseen. Behind Ignis; everywhere he had moved and ran, sat a still motionless liquid. A volatile and combustible concoction born of the dragons own inner workings. This liquid was odorless, colorless, and viscous. Adhering to any surface it touched, and forming a near napalm like burn even before ignition. Ignis had painstakingly carved a path with the solution; the canister located upon his left leg, and as he stopped and once more admired his opponents stance, it suddenly burst into life. A river of molten lava snaked into existence below the sudden flame serpent; a hissing growl coming from the growing flames as they burnt the air, the earth, and even the liquid below. This river of dancing jade flames grew larger in an instant; Sykosi roaring with pleasure at seeing such prowess and power, and as Ichi released his attack, Ignis too was ready to release his. With a grin and a growl; eyes closing and reopening to reveal orbs of spinning flame, Ignis pulled upon the entire warped path of lava and flame, and uprooted it. It coalesced behind him in the form of a mighty zodiac dragon; a head the size of a man, and a body nearly as wide. It roared and growled as if alive; its body molten earth, its eyes spinning pits of earthly fire, and its extremities simple brutish blue flames. The beastly flame dragon pulled forward from its bounds; snapping the proverbial chains of the earth, as Ignis drew upon Sykosi's power, and pressed it into life. The massive dragon of death and destruction raced over Ignis' head in a blazing inferno. Tearing at the sky and earth as it flew low to the ground. It created a warped emptiness around it; devouring the air and moisture alike, as the ground below it rose and met with its body. Constantly growing in size as it raced forward; seeming to love its birth in such a way as was impossible, the eternally peaceful dragon opened its maw and charged forward. Before it came to strike Ichis attack, it had grown a lot and increased in speed nearly two fold. Its head was now the thickness of a tree trunk, its body four men wide, and its arms and legs were a many shades blaze of dripping magma and spinning flames. It was a beast no doubt; truly worthy of a grand master manipulators force, and Ignis had Sykosi to thank for it. He learned of the trick; laying such chemicals out, from his dragon companion, and with the knowledge bestowed upon him, Ignis knew he must use it properly and respect the knowledge learned. Ichi was dumbstruck. So awe-struck and impressed at what his opponent had done, he nearly lost the Power he had gathered. Placing his left arm into the air, the clawed middle finger began to glow a colorless light. In his palm was the Red, White, Gold, and Blue aura's, which gathered above. Ichi had to work fast. His mind was set in motion. Dark clouds formed above the arena; Lightning streaked across the sky as thunder followed in its wake; Each streak of lightning was of the colors of the aura. The air grew thick and heavy, almost a solid thing as the Spirit Power surged through it. But nothing left the clouds save for the thunder, and the rare lightning strike, but never left the clouds. Now Ichi watched as both attacks collided with each other, the dragon and the Wind beam laced with the Shared. The Wind beam was still at the sharpest of its points when it had collided with the Dragon, and thus pierced through the magma. At the speed it was going, the Wind beam passed through the head, but when it reached where the body would be, the dragon heat from within tried to ignite the air, which caused the Wind to expand within it. Ichi wasn't about to let that happen. Using his control over the Wind beam, if not that then the Shared that laced it, and caused the Wind beam to expand as well, but with a more bloated sense, and then forced it into a hair thin line; Which would cause the dragon to fold in on itself at the middle, then exploding. The body would be gone, the head and tail falling apart from lack of support and diving into the ground, creating a bigger explosion upon the impact. So, not only was there a crater from the first explosion, that crater was created bigger, as well as deeper, from the other two. Ichi had little time to prepare as he saw what was happening. He created a dense air wall infront of him to soften to the shockwave that was coming. Now, he took the Spirit energy the storm above had gathered, and formed a multi-layered White aura bubble around him. The earth quaked under his feet as he felt the shockwave hit him. Even in all his little, last minute preparations didn't seem to help any as he felt it knock him back. Ichi was sure he was flung back some dozen feet. He groaned as he opened one eye to look at up at the sky were his storm was gathered. If the man wanted to continue on, he would be fine with that. Then, he remembered the second fireball, but then was left with the thought: That would have been destroyed during the explosions. Ichi nodded his relief, and simply laid there with that one eye open, staring up at the sky. The Red Pillars had been destroyed as well during the explosions, and the storm was simply gathering up the remaining Spirit Power left behind from each Pillar. He hadn't been able to use those like he thought he would. "Oh well..." He leaned up, propping himself on his elbows. He dimly noted that he still had ahold of his staff, and was impressed it had survived. Now, he looked over to see what had become of Ignis. "How about we call it a draw?" The Hayvn leader called out to the man. Ichi yawned as he sat up, drawing his legs up underneath him as he let his head fall to the ground. He couldn't see much because of the dust and smoke, but his eyes were sharper and allowed him to see more than what most would allow. He closed his eyes and began to still his racing heart, to calm his breathing, as his forehead laid against the ground. Despire himself, he had a smile upon his face. In an instant there was nothing but dust and ash. Clouds of billowing smoke falling away; wind sweeping debris in every direction, and a gale force wind racing outward. Smoke rose into the sky only to meet with colder air and fall back down, as heated shrapnel was loosed into the violent wind. A crater was blasted into the solid earth below; a second and third following suit, as everything there was before... was nothing now. The dragon tried to consume an attack and exploded with extreme force. Its head bombarding the earth with debris and molten earth, as its body then tail followed suit. The explosive chain reaction leeched the sound from the world for a moment or two; the shockwaves piling up and exiting the volcanic crater simultaneously, as all of the attacks met in the middle, and were turned into but one cataclysmic bomb. Ichi flew backwards, Ignis flew backwards. Dirt rose and fell; the shockwave tore the ground asunder, ash was blasted outward, and it seemed as though the entire world had went white for a few moments. The dizzying impact of the natural; and unnatural forces, seemed to render time a dull and bland thing. The explosion instant, but its reverberation lasting for untold seconds. Each passing instant seemed an eternity in the wake of the dazzling fireworks display; fire shooting skyward and in every direction; a spinning void of air hurrying to fill itself, and a large earthen crater still smoking from its creation. Before Ignis could stand; having been thrown all the way back to Sykosi's foreleg, he smiled. Such an impressive display of power, such a display of fortitude and might. He admired the man whom he had fought; finally finding a challenger worth the effort, and as he rose to his feet and took a stance of defense: Obviously able to continue, he heard the words of yield. The words that were actually profitable and proper for them both.. As it was; if they continued, one of them would end up hurt, or worse.. So with a grin; the earth still reeling from the explosion, the wind still sweeping outward from the attacks, Ignis raised his hand above his head, and slowly lowered it to his chest. Pressing it to the armor there, and holding it while he spoke. "A draw it is.. and an honor at that" Ignis reveled in the fight, the moment of battle, and even as the dust settled, the winds died, and the smoke fell silently away, he was pulsing with excitement. He had done what he never thought possible; given his all in a fight and not been defeated, and for the first time in a long time, he was happy... With a nod of his head; his ignition gauntlets losing the small flames hidden along the fingers' edge, he sat down against Sykosi and sighed a breathe of relief..
"How do you feel?" He asked quietly; knowing the man able to hear his words even across such a distance. "Cause I feel like I was just kicked by a dragon... and well... I still feel great" His laughing words echoed out across the now silent sands, as he layed his head against Sykosi's leg, and the mighty dragon looked upon him with an approving growl. Honestly, he felt amazing. Ichi leaned back up and put his staff beneath him and hoisted himself up. He set the staff into the dirt and let it gather the storm of Spirit energy. As that was going on, he began to walk to the centre of the crater, and inspected what had occured. He nodded, smiling, to himself as he approved. He hadn't been in such a fight, and wouldn't want to meet that man on a war field. Especially with that dragon with him. He sighed deeply. "I feel amazing, actually, surprisingly." He gave Sykosi a sidelong glance. "One thing is for sure, I hope to never meet you on the battlefield unless we are on the same side." He laughed a little at that. "Either way, I hope it was a fun for you as it was for me." He offered the man his hand as he finished. Ichi had respect for this man; Now, it was even greater. His face was cracked in a foolish grin as he stared at the crater he still stood in. He held out his right hand and his staff lifted itself and soared gingerly to him, to rest in his hands, where it soon rested on his back. He hooked the two Arnis' as his belt and went to find his pack were he would place the metal claw back in. He slung it back over his shoulders and walked back over to Ignis as he was putting his wolf-skin vest back on. "It has been a long day. I am sure, despite our feelings of refreshment, you are probably as tired as I am; If not physically, then possibly mentally. If neither, then you are more than meets the eye, my dear friend." He said with a light sigh a contentment. In truth, his legs hurt, and that was about it. Briefly, he wondered what Shurik would do, say, then also wondered at what the people of Incendia would do, and say. He yawned as he thought of sleep, though it was a fleeting thought. Ignis looked from his dragon to the scarred earth; from the earth to Ichi, and then from Ichi to Shurik. All the while, he slowly began to lean backwards against Sykosi's leg, and relax even more. The use for words was over; his mind stretched thin as it was, so instead of speaking in return of the others words, he simply nodded his head in agreement, and yawned quite loud. He didnt mind it actually; being so stretched and worn thin, his stamina ever increasing as he worked upon it, and with that slowly entrancing yawn, he agreed with his body in earnest. It was time for rest; one way or another, and upon the field of battle seemed as good a place as any for one such as him. Shurik watched these two powerful forces clash against one another, the sheer force given off by the back and forth blows caused a slight worry in Shuriks mind. He was an excellent fighter with spear, bow and sword, but his powers where slightly lacking on the scale these two had presented before him. As shrapnel and different forms of elements and energy flew back and forth, Shurik could only throw a wall of flame to deflect the in coming particles. When fire came his way, he used it to bat off the other elements that may have charged for him. Through the entire length of the fight, Shurik had taken steps back to better view the glory of the battle, and to better protect himself by lengthening the time it took for particles to reach him. His eyes never closed and his figure, no mater where he moved, stayed in the same stance. When the clash of power had come to an end, he moved back into position, his eyes looking back and forth between the two as they looked back to him. He heard the faint sound of calls from the cliff above, at the top of the path to Incendia. He knew they wouldn't miss this, and he couldn't blame them. As the cheers stopped, they filed back into the caves, as if to avoid Shurik's glance. A grin ever present on his face, he couldn't find the words to describe what he had just seen. Finally, he unfolded his arms from behind his back and clapped slowly, commemoration the men on their violent display of prowess in their manipulation of elements. He looked off to the side for a few moments, stopping the clapping as he brushed a small amount of water that had landed on his shoulder off his Armor. He looked to each of the combatants once and chuckled. "Very good... You both seem to posses a superior strength in your known elements." Shurik walked over to the edge of the crater Ichi was checking out and shook his head some, giving a light sigh as he kicked a small amount of dirt into the hole and watched it roll down the side. "I hope your filling that back up." "I will also give you both credit." His eyes followed Ignis as he strolled over and placed himself against the leg of the grand dragon. Shurik had nothing but respect for the two men that stood before him, one hiding in the wing of the dragon, the other standing in a small crator of battle. As Ignis vanished out of view, his eyes turned back to Ichi, a smile on his face as he nodded. "Nice to see you again, Ichi.. King of Hayvn." He looked back over towards the dragon and it's equal for a moment as he spoke. "Your the second ruler he has fought on this field today. Though I did not fear for you life like Sotaynru feared for his." His head turned back to Ichi as he smiled. "So... Ichi. What brings you to Incendia on this fine eve of battle?" He smirked and looked around for a minute, still taking in the large amount of damage they had caused. He bowed lightly to Ignis and Sykosi, turning his attention to Shurik. He stared at the man, blinking. "Fill it in? Ha! Wouldn't you want a reminder of what occured?" He shook his head, laughing at his words. "But, if you want, I shall do as you ask." He pulled out the tie in his hair, hanging his head down, then pulling it back as he raised his head back up, tying the hair back. He sighed as he crossed his arms across his chest and stared at the hole in the ground, then turned his attention to Shurik. "Second, huh? I didn't think Sotayrnu would start his war so fast, and then be in the frontlines. I will have to lecture that boy up and down about his tactics." He sighed deeply. "Don't judge; I know what I did what reckless, and I could have died, but I think it was well worth it. You and I have a messure of what this man can do, and what his talents are. You also know how creative he is." He gave Shurik a hard look. "What occured here is something of a lesson; As talented as the Royal Bloods are, there are those stronger still." A smile broke across his face, but his eyes were still hard as Ichi stared across the crater. 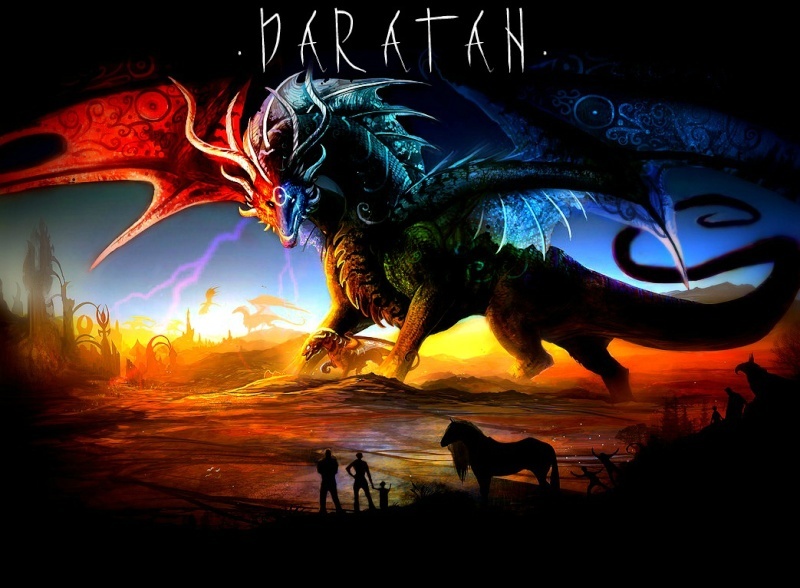 "Hayvn is different from the rest of Daratan. All of our talents are within each other's grasp. We are not separated by Blood, save for in power, and I can break that separation." Ichi laughed and shook his head. "Forgive my ramblings. I speak of nonesense." He stretched his back; His hands on the middle of his back, and he leaned back against them. "I am not as young as I once was; Would you indulge me by walking with me?" He wasn't even thirty yet, and chuckled a little at that; He was feeling the physical strain of his fight, as well his journey here. Now, Ichi looked at Shurik with a sidelong glance as he answered his question. "I am here to help strengthen my talent in Fire, but I think that can wait." He stifled a yawn. "Perhaps I can meet the new leader of Incendia." It was a statement, though it held the impression of a question. "I know little to nothing of this place, and having a man that knows his way around drink would make an excellent guide." Ichi said, his tone teasing. Ichi remembered the night he had meant Shurik at Siram. He still laughed at that. Waking suddenly; as if falling into his own body, Ignis shook and opened his eyes. Before him; in the dark embrace of a scaled wing of obsidian tone, one gleaming eye stared back. It closed and opened; barely a sound escaping, as Ignis saw but his own dim reflection within. He didnt know why he had awakened with so little rest; so little time to recuperate, but he was sure it was Sykosi's doing. He knew the dragon wanted something, but what. So with a groan; discomfort and unease seeming to be the only real things Ignis could feel, he pulled himself into a seated position, crossed his arms before his lap, and looked into the massive emerald colored eye. "What?" He whispered into the darkness; knowing the dragon could hear him, and understand him even before the word made a sound. "What do you want? why do you wake me? why cant you just let me sleep?" With a blast of air; a snort of wind from its massive snout, Sykosi growled deep and low. Its mind stretched outward slowly; touching Ignis', as words began to form where none before existed. "I must eat, and I must fly.... I need to stretch my wings, and feel the winds... If you are tired I shall make you whole... but do not ask it of me again" The dragon finished its mental speech; a plume of smoke rising from its open maw -to escape through a small gap between its wing and head, and even before Ignis could agree, is body was alive once more. Ignis stood up with a spurt of energy; his eyes blazing with the sudden release of Sykosi's power into him, and before he had time to think or accept it in words, the grand dragon was stretched out before him, and waiting. Its leg went out; forming a small walkway for him to climb, and the two black spines on the ridge of its neck were already beginning to warm. He watched Ichi as he moved about the area surrounding him, his eyes ever wary of what the man was doing. If anything, he found the king of Hayvn to be an interesting person. Clothed in hides of the forest and yet unlike many he had met with the same attire. "I would agree that Sotaynru was rash in his decision to start a war, but he was playing Incendia's worst card against them and he did it perfectly." His mind shifted back to the words him and the Septur king had exchanged during the parley. His hand touched his chin as he stroked the stubble on his chin. As his thoughts drifted, his eyes lowered as he stared at the ground for a few moments. Such things that where discussed. He sighed lightly and looked back up, realizing he had drifted off into space. "Please forgive me." He let his hand drop back down and swing around to his other behind his back. Left hand gripping the right arm at the wrist he chuckled. "I was thinking on something." He looked to Ichi once more as he continued along with what he was saying. "I was not judging, I was mostly expressing some concern." With a light chuckled he met the mans hard look with one of ease and calm. "I have a decent measure of both parties, yes. And I have come to the conclusion that I need to train harder." He mimicked Ichi's smile as he took in a slow breath and exhaled it back into the outside air. He knew where Ichi comes from was much different than any other, and the people themselves had powers that raised questions. Shurik read, and he read a lot about everything. As Ichi released a laugh, his thought chain broke slowly and he snapped back to the conversation the two of them where sharing. "No, no you don't, sir. I know much of everything." Shurik's purple eyes lit up as if a fire had lit behind them. "I read a lot. I have spent many nights holed up in the library with the old books. Tales of the clans and leaders long past interest me, along with old stories of powers forgotten by the Incendian's and even my own line of blood." He looked off towards where Ignis was now rising. "Even stories about the bonds we once shared with the dragons." This was his curiosity. The bond Ignis shared with the large black dragon he now laid under, could they share the same bond he had read about? He let out a low sigh and walked over to Ichi, a smile on his face as he offered a hand to point in the direction they where to walk if Ichi truly wanted to enter the city. "Let us walk then. I can show you the city." Shurik chuckled some and began to trek uphill to the volcano he called home, knowing Ichi would follow along if he truly wanted to see the area. As they walked up through the dirt path Shurik continued his conversation as he remembered things. "Ichi, I have to tell you. The city is in slight... disrepair." A side glance towards the man as he spoke and he caught the glimmer of scales and the fire of dragons breath filled the sky as Ignis and his dragon took off into the air. As they vanished from site into the clouds, he looked back to Ichi and chuckled. "Hopefully he'll return. I have something I need to send him out on. But, back to the city." His eyes turned back to the path as they continued the walk. "The attack left much of our buildings destroyed, and all of our citizens have been evacuated into Siram." He thought on this, He was bringing Ichi into a wreck, but the man wanted to see the area. "Also, on the subject of bettering your fire abilities, I would suggest the library first. Read up some." The smile on his face never faltered. So much had happened in one day, he was glad to be talking with someone other than the supposed enemy. With a slight nod, he glanced as Sykosi and Ignis rose to the sky, taking off. "I wonder where they will be going..." It was a thought, and he hadn't realized he spoke aloud. As he followed Shurik up the hill, he nodded again. "I understand. I really do. But if he does make it to Hayvn in his quest of war, I will stop him." There was threat in his voice, a sort of sublime anger. "I have recovered much of Hayvn's old talents; One that has been lost since the First Age of Daratan." He was slightly incredulous on the fact that Shurik read; But Ichi simply accepted it. He sighed and let his mind drift into thoughts. He watched the people walk around, watched them greet one another. Despite what had happened everything seemed to be normal. Well, Ichi thought it was. He hadn't ever visited Incendia before, not in a long time atleast. "Well, if you need help in repairs, I might be able help. I can call some of my people." He stared ahead. "Reading, huh? I hadn't thought of..." His voice trailed off as he realized what he was fixing to say; Now he stopped in his tracks. "Why didn't I think of it before? Gods, I am forgetful nowadays." He gave himself a mental lecture. "You must have opinions on my people, our abilities; They are questioning, different. This I understand; But you must understand that the Shared -- Hayvn's well spring of power, you could say-- doesn't forget anything that has passed through it. I haven't thought of it before, but everything our ancestors have done will be remembered in the Shared." He paused for a moment. "I can "read" the Shared in that aspect, learning what they did back then." He was sure Shurik would have an interest in what he was saying, if the man truely read about the history of the clans. Ichi continued back on the walk, his mind in his own thoughts as he did so. "Isn't that where Sotayrnu went? To Siram? Wouldn't that be a worse place for Incendian's people?" When Shurik brought it up, he realized why it was so desolate. "Sotayrnu and I have a relationship, a mutual agreement; It will probably be the last place he goes for, Hayvn. The Forest is nearly impossible to get through without using a force of some kind. By the time they got ready to assault it, I would know, half the people of Hayvn would know, the Forest would know long before then and would ensure to pose a more impossible target to get through. Again, if you want, they can hole up there until Incendia is back in full repairs. And, as I said before, I can get some of my people here to help with repairs; We have minor talents in the other Power's, and full strength in our own, obviously." Ichi meant what he said. He was sure that if Septur did attack Hayvn those people he had sent out would be back, and if not, then Hayvn would last without those people. Ichi could make that promise. He could ensure that Hayvn destroyed that army, if it ever made it there. Ichi possessed the last ability that would allow him to remove the barrier placed in the Shared in each person in Hayvn, but only to his own level within the Shared, and Ichi wasn't even sure how far that went. "But just know that Hayvn is neutral in this war; We offer no alliance with either land." He shifted his pack into a more comfortable position. He liked Shurik, as well as Ignis, but he would remain neutral in the war. He had no desire to pick a side; even if it meant losing a friend or two. He had to think of his people first, his land. his inheritance. "I mean no disrespect in that, but my people, my land, come first. I hope you understand. Given how hard it was for me to obtain that in the first place, I don't want to lose it all." He felt guilty, but only a little, at that. Ichi was sparking his interest with what he had been saying. His eyes lighting up with the new information. He sighed lightly and nodded. "I have heard of your forests. And of the shared. Quite and incredible force it is." He laughed lightly at the thought as they continued their walk. "I cannot teach you right now, I have other things to attend to, but I can show you to our royal Library, You can read up there." He smirked lightly, walking along the paths as they entered the city. Soldiers ran from one place to another, hoisting earth with a crane and burning it to a magma base to repair the broken buildings. "I thank you for your offer, Ichi. But I think we'll progress just fine." He watched his men move around, creating new parts of buildings and continuing the cleaning efforts. "I understand your neutrality in this war, and I hope it does not progress into your forests. The battle here, though, ended with a parley. Me and Sotaynru have come to an accord of some sorts and he shall not be attacking here again for a long time." Shurik thought on his words as the straight roads quickly carried them to the Library he had spoke of. His hand, open palmed, offered Ichi the lead into the building as he raised his eyebrow and smirked. "Well, please feel free to talk to the men inside. They will show you the books you need to read. The war didn't reach here, so there is no damage." Shurik bowed to the man slightly as he chuckled. "I will pick your brain another time, but for now, I need to lead the efforts. So If you would excuse me, Friend." He turned on his heels and began to walk away. "Please. feel at home Ichi, and seek me later." Shurik walked away and continued along his path, Shouting orders almost before he even reached the men. He hoped Ichi would understand his rush and would make himself comfortable in the Library. He raised his eyebrows. "I would imagine you have; They are not a secret, just simply hard to understand, or misunderstood." He shrugged indifferently, watching the men go about their work. With a small effort of will, he restored the strength of two dozen men. Whether or not Shurik noticed hardly mattered, but Ichi was sure that the fatique would be present in his face; It wasn't his own, and would soon be drowned out with Ichi's stamina, if his endurance played a part as well. He would help as much as he could, even if it was restoring the strength, the energy, back to the workers. "Whether or not the war meets my Forest hardly makes a difference. If Tenkuu was still here, I am sure they would handle Septur; I have my doubts about Siram, if he even goes for them. Then again, Tenkuu would be just as worse off." He sighed deeply and regarded the man. "Just remember that the struggle for power is always constant, never ending. Septur may not attack Incendia again, but someone else might. And they would hardly care if you just got done with one war, though it was hardly one. It was an attack, nothing more. But it was a hard one. I am sorry for your loss." Just as long as Shurik remembered that, Ichi would be glad. Nodding, he went inside the library. He watched Shurik start to leave, chuckling at the words. "I am sure they will be at their wits ends after my questioning. I have way to get under peoples skin." His grin turned impish as he walked inside. "I can hardly wait for that meeting; I shall pick your mind as well." Now, he face turned serious, though he was still offering a small smile. He looked up at one of the librarians. The librarian stared at Ichi with a humorous look, as if not believing what he was seeing. Ichi wanted to strangle the man."Ah... I guess you are here to read up on something, no? Master Shurik comes in as well, as he would have told you if he had led you here... What is it you want? Hurry now, I don't have time to squander." Ichi's brow twitched in annoyance. "I am Ichi Wolfgang; Leader of Hayvn. I have come to read some of your books on how to expand one's fire power." By now, the librarian's eyes were wide with surprise, and then something else. He gathered himself as he began to answer. "Ichi Wolgang, huh? Weren't you the halfbreed? Oh my! I didn't mean to upset you so... Forgive me." The man bowed beneath Ichi's angered glare. He didn't need to be reminded of how he was supposed to be dead. Ichi unclenched his fists and sighed. "Don't worry about it. It is forgotten." The man nodded, and led Ichi to a collumn of books. "These are what you will be looking for, though I don't think you can grow anymore than what you already have. An Incendian good, I suppose, but not a Hayvn. I hope you understand, sir." Ichi nodded and told the man to stay."Wait." The man said. "May I leave for a moment to get a writing tool and some parchment? I am curious of your life." Ichi nodded, understanding the man's curiosity. Ichi began to look around at the books, he picked one out, sat down, and began to read as he awaited for the man to come back. Briefly, he wondered when Ignis would be back so he could challenge Sykosi in a battle of wills. Ichi's words hung with Shurik as he left the man to his learning. If tenkuu was still here? He had not heard of the destruction of the cities in the sky yet, so Ichi's words came to his surprise when he heard them. The man walked away from the entrance to the Library and continued his way back to the base of operations they had set up inside the market. Would more come to attack the wounded nation of Incendia? would others come to kill what was left of the great fire benders? Preposterous. Shurik still held in his mind the thought that the great dragon would not allow one nation or another to be wiped from the face of the map, forgotten to all but the historians and the scribes who would write what they will about the once whole nation. Some scribes would play Incendia as the aggressor, making the Fire people seem like the evil being destroyed. Others would write about the great Incendian's and their final stand against an evil force. Then, a saying came to Shurik's mind as he thought over what would become of the men and women in the mountain. "History... Is written by the victors." Is Sotaynru fulfilled his master plan would he cast a shadow down on Incendia? So many questions that couldn't be answered forced in and out of his mind, slowly causing a headache to form in his mind. Shurik pressed a palm against his forehead, two fingers rubbing his temples as he tried to push the thoughts flooding his mind aside and focus on the task at hand. "Sir..." The call rang out and Shurik snapped back to reality, his eyes flashing open as he discovered himself doubled over on top of the map. As he came to, he pushed himself from the paper and material and shook off the grogginess that had overcome him just minutes before. "Sir, are you alright?" Shurik looked to the side and stared at the soldier, his purple eyes glinting with a fire that lit behind them. "I am fine... Why are you all not working?" He noticed not one, but more than ten men surrounded him with worry. "GET BACK TO WORK!" His fist slammed the table and they took off scattering in all directions. One man stayed and saluted the warrior before him. "Sir, I am here to give a progress report, you asked for one on every hour." Shurik nodded to the man as he found a chair and placed himself in it. "Go ahead, man." "Market district is at one hundred percent, Rubble cleared is at one hundred percent. All houses in the residential district have begun repairs. All other buildings are being worked at." Shurik nodded and took in a deep breath. "All the bodies have been cleared?" The soldier nodded and looked towards the ground. "The blood... It has been cleared too." Shurik waved the man off, his eyes stuck to one spot on the floor. "Carry on..." A deep breath filled his lungs and slowly filtered out into the hot incendian air. He couldn't sit, he couldn't think. Everything around him seemed to crumble as he stood up and began to roam the city streets. Men shouted to one another around him, but he didn't heed their words at all. It was almost as if Shurik had launched himself into some form of walking meditation. He continued along the paths, strolling through streets and side streets until he reached the district he was most known for protecting, The slums. As he entered the rundown district of houses and buildings, he made his way down a main street and then down a side street. At one of the clumped together houses he pushed open the door and walked into what would be the living room and kitchen area. Shurik strolled around the house for a few minutes and then sat himself into an old chair at a counter top like table. He looked into the kitchen and images of people flashed into his head. Lilli hadn't seen him before she had to be evacuated. If she had been evacuated. His mind flooded with dreaded thoughts as he tried to not think of the sweet, intellectual little girl he had known to be anything but alive in Siram and away from this madness. The houses had been cleaned, he had men taking names of bodies they could. He placed his hand once more against his head and held back a sob. He couldn't be here right now, nor did he want to. This entire house filled his mind with memories that couldn't be replaced or forgotten. Shurik forced himself roughly from the counter, standing up and walking to the door. One more glance over his shoulder and he walked out, the door slamming behind him. As the door closed, one of Lilli's drawings that where tacked to the wall fell to the floor. A drawing of a burial, Lilli standing next to a tomb that read RIP Daddy. Shurik knew her father well, but had no idea what had happened. The drawing laid on the floor, cast aside from view until the house would once again be occupied. Shurik walked from the streets of the slums and into the main road, walking up towards the top of the Hill, back to his post. To all around him, he was just doing his rounds, making sure all work was being done but Shurik actually walked to hold himself back from thinking. Barking orders and telling his men how to proceed drained the thoughts from his head, and eased the pain he might hear when he heard the truth, if it was true. Giving in to the comfort; the embrace, the warmth and serenity; losing complete track of time and the world below, Ignis simply held Ici to him as Sykosi flew them effortlessly towards Incendia. They reached their homeland in what would have been but a few minutes; though entwined in a perpetual instant of bliss, and as Sykosi began turning towards the city Incendia, Ignis was still lost to the feeling of pure and unaltered happiness. It wasnt until Sykosi veered to one side; leveled out quickly, then began descending, that Ignis had to shake himself from the comfort; grip the two spikes, and prepare for the inevitable dive. He had already instructed Sykosi on where to go; where to enter, and even where to land, but now came the part of coordinating his senses with the dragon, and making it all happen. With a quiet few words; the wind suddenly passing by faster and with much more arid heat, Ignis spoke to Ici about what was to happen. "We are going to go almost straight down in about ten thousand feet or so... its going to be a rush for sure... but its the only way in through the top of Incendia, and I wish to have a nice landing beyond the annoying sands and ash outside..."
With a grin; a sigh, and a contemplative look at Ici, Ignis gave the silent command, and Sykosi landed within a large circular opening. Much like a plaza or perhaps a garden of sorts. Ignis couldnt find his words yet; breath still escaping him as the exertion of battling with Sykosi on how to land wore him down, but he simplistically wrapped his arms around Ici and smiled... Hoping that enough to keep her relaxed, and help her calm if needed. Icim let out a soft sigh of content as she was lulled into relaxation at the warmth of his embrace; a smile upon her pink lips as she realized that she was not the only one of them who didn't pay the dragon below them much attention. Because of the position in which Icim had put herself in, she had to move just a bit so that Ignis could move around her; not to mention the position she had to be in to hold on, and as his words sounded behind her again, she did just that. Her hands moving to the scales around her for she knew nothing else to hold onto, and just as she would get a grip of some sort, they began to descend into the volcano. She only took a few moments to begin to panic, and so her eyes shut tight and she held on for the ride; trying greatly not to scream. Her heart raced now as adrenaline pumped through her, but she still refused to open her eyes and let the sights come to her. She needed no distractions from holding on, and that was what she would do until Sykosi began to level out and the proceeded to stall. Finally would she let her eyes open to ler her see that they no longer moved, but her grip did not loosen until she felt the arms of Ignis around her. Only then did she let go and begin to relax, though the adrenaline within her caused her hands to shake slightly now. Her lips opened to speak to him, but like him she found that she could not muster yet a word. She frowned upon this for a moment before she fell into the warmth and let her troubles drift away. He could have shouted orders at the top of his lungs for as long as he wished, but as soon as the call of a dragon sounded in the caves of Incendia, all grew quiet and all eyes turned upward to look upon the black and red dragon descending into their relief efforts. As his purple eyes gazed upon the dark colored beast, a grin came to his face as he began to walk to where the dragon was heading. He recognized the beast, and knew the rider would want to speak with him personally. He, too, wanted to speak with the rider of the beast. Shurik walked slowly along the dirt streets, looking around the area as he gave his men looks, telling them to be at ease for now. "Continue men. Our friend who entertained us not too long ago has returned home." The men looked to him and nodded, getting back to work on the city as the dragon finally landed in an open plaza. His pace didn't hasten, his feet did not carry him forward in a rush to reach the area where they had just landed in. Shurik walked at his own pace and didn't move in a hurry unless he needed to be somewhere in a rush. When he finally reached where the dragon had landed, his eyes stared up at not one, but two people atop the back of the beast. A smile turned his lips up as he looked into the eyes of the dragon and chuckled, nodding towards the beast to better acknowledge it. "Ignis. Back so soon from your hastily taken trip?" His eyes did not trail from the man after that statement as he looked to the other Incendian upon the back of the beast. "And who do you bring back with you?" Shurik shook his head as his arms folded behind his back and his feet turned him around. "Ignis, When you get a moment, I would like to discuss a form of training I can help you with." Shurik began to walk away, moving to the opening of the area and standing there. He was very nonchalant about the way he moved and the way he spoke to them. He was not in an entirely good mood, but he would not let that weakness show out in the open. As he waited for the two, he watched his men run back and forth, using their powers to fix many of the buildings. 'Maybe he can train me in something as well.' He spoke to himself about learning from Ignis as he learned from him. Having so easily given in to comfort; the sudden haze and disarray of wars reality breaking through with a harsh twisting knot, Ignis found himself slowly reassessing his position, and focusing more on the truth all around. There would be time for him to speak with Ici; though about what he didnt know, but there were other things to do that were of a bit more importance. It was with that thought in mind; slowly releasing his hold on the woman against his chest, that Ignis dead crack his neck and take a deep breath. His eyes refocused on the truth everywhere as he slowly slid his hips back and craned his neck to see to the side of Sykosi. When they finally hit the packed and ashen earth; Ignis looking to Shurik as if to reassure him in some way that he would be over shortly, he leaned close to Ici and whispered . "I beg your forgiveness for the shortness of notice and obvious surprise in such an action.... but commander Shurik needs me, and If he has claim to call upon me... It is my duty as an Incendian citizen to respond... Shall I assume you will make due in Incendia while I am otherwise occupied?" He spoke the question but rather wished not to. Not wishing to offend her in any way; his head once more at full height, as he placed his scale helm back upon it, Ignis swallowed hard and turned away slowly. He looked back at her; hoping she would understand, Sykosi watching over her even if she didnt realize it. For in the steps between her and Shurik, he has given such an unspoken command, and from Sykosis own thoughts came but a few short guttural words. "As you wish"
Whilst she lain within Ignis' arms, she felt as if she were finally home; though she knew little about the streets of Incendia, and little about the destruction that had come to the city. The thought brought a frown unto the lips of the woman, but as Ignis began to pull away, Icim got herself in check and simply let out a sigh of frustration. She knew that Ignis would be taken from her as they got here, but still she wished for a few more moments to spend with him. Though she would have rather stayed upon the dragon, she found that her hand inserted itself into Ignis and she was brought down to solid ground. Once her feet hit, she let her eyes travel up to Ignis, yet she did not speak of her wish for him to stay with her, because she knew that the commander would not like to be kept waiting. Though she would speak lowly, "I don't know Incendia, Ignis.. I don't know it at all. I isolated myself, and now I know where nothing is.. so I will just wait for you here." With those words said, Icim sat down near Sykosi and let out a soft sigh. Shurik looked over his shoulder once, noticing that Ignis had nodded to him. He took this as the man would be over in a few minutes or so. Shurik really didn't mind waiting for anything, he had brought another Incendian with him and he knew the two had probably become close during their time away. He didn't know this for fact, but something about the way he helped her down from the back of the dragon and the way he took the time to explain what was going on to her, it was clear there was something there. Shurik didn't recognize the woman, probably because they had not ever personally met, but an Incendian was an Incendian and he would treat her no different than any other citizen. It was only right to treat kin and country alike. As he turned himself back around to look out on the area, he couldn't help but admire the resilience of his men. They had been working for nearly twelve hours straight. The battle, clean up and repairs, all of it must have been taking it's toll. When Ignis finally walked over to Shurik he looked at the man. He was actually taller than the commander, and his eyes had to drift up to lock gazes with the man. "Ignis. I have thought on what you had asked before." He chuckled and looked back to his men. "I can train you in the ways of the Bow, Spear, and sword. As for furthering your knowledge in fire, I feel you are more versed in the ways of flame than I." He chuckled lightly as he thought on this. Here he was, a so-called hero of the Incendian people, telling a soldier that he was better in their element than he was. "So, I propose we learn from one another. You can learn the ways of the sword and spear, and I can learn some of your fire techniques as we go along." His eyes turned back to the man beside him as he said this, being sincere in his request that they exchange knowledge with one another and become two better warriors because of it. With that, Shurik turned some, just enough so he could take another look at the second rider of the beast that had arrived in the city. "But. If you are not ready to such now, I will leave you with your... Friend." He didn't know her exact title so he instantly turned to the safest one he could bestow upon her. "Also. Be expecting your first mission rather shortly. I am formulating ideas within my head, some errands I may need you to complete in outside countries." Shurik turned back towards the City, taking one step towards exiting before looking once more to his new warrior, and hopefully friend. "When your ready, if your not ready now, I will be returning to the library. There are a few things I wish to discuss and ask Ichi." He took in a deep breath, letting it out slowly. "Maybe, I can also ask you a few things about how you are so strongly bonded with your Dragon." His purple eyes shone bright with the idea of learning new things, from either Ichi or Ignis. "But for now, if you do not wish to train, I leave you to whatever. Feel free to help and explore. We can use it." Shurik stood there and waited for the mans response, his eyes focused outward on the city as he took another deep breath. Standing still; remaining silent til addressed and being asked a direct question, Ignis represented what he had never known to be. A soldier. His eyes never strayed from the commander as he spoke; seeming to oddly distract himself at intervals of random time, as he waited his chance to speak. When the cue was given; but a simple question reiterated as a pause and proclamation of wishing one, Ignis quickly spoke in a tone befitting one being asked such an honorable thing. "It would be with great pride that I would learn of the sword and spear from you commander Shurik... though I will admit I only seek training in the blade itself... as for helping you where I excel... It would be a fair trade, and an opportunity not worth passing up. To increase the might of two soldiers at once; by way of simply training each other, would undoubtedly bestow a greater power to the Incendian forces. Even if only in direct conflict with those two soldiers"
Ignis paused after speaking; looking back for an instant at Ici. He was torn; wishing to train and learn immediately, as well as wanting to receive his first mission, but he couldnt possibly leave the woman behind. She couldnt be expected to simply wait; the proposition outrageous even to Ignis, but if he couldnt be trained soon enough, he would be less effective when it came time for his errands. He hid his confusion behind a mask of tranquil distance; eyes seeming only to move when he truly placed an emotion to an action, and even before he found the words to address the commander again, a solution seemed to arise. "Commander If you will give me but a few more moments to speak with the young woman over there, i may be able to free up some time in the recent future, as well as reunite with Ichi Zellcai, and see as to his condition after our recent duel... If you would excuse me sir"
Ignis turned in place; walking instead of running as he thought would be more appropriate for haste, he made way over to Ici and sighed before beginning. "I dont know what to do Icimdeki. I have an opportunity to improve myself as a soldier; the commander giving me an opportunity, but I know I can not leave you here to stand guard over loneliness... I would ask you a favor then; if not for the simple interest of Incendia's protection from war in the future, then for my own personal interest in this opportunity.... would you kindly follow us to the Library and sit with us a bit... I wish to speak with commander shurik there; and possibly lord Ichi Zellcai of Havyn.. and there in the Library you could feel a bit more secure, and we could spend the time together ?" Jin-E felt a hand shaking him as he laid in a deserted alley. " Are you alright?" The question made Jin-E open one eye to gaze into the face of a young soldier. Jins voice rolled out from behind his mask in a small hoarse voice " Im alright, just used to much energy" With a stiffness, Jin-E forced himself to sit up slowly. " We thought you had deserted us or were killed" Jin looked at the young soldier before shaking his head slightly " Im fine" He grabbed his Korikin blade and used the spear shaft part to force himself onto both of his feet. With a small shake of his head, he forced himself to move out of the alley and into the street. The young soldier was following him, just like a small puppy Jin thought as he moved into the streets. " Do you know where Shurik is?" The young lad pointed out to the middle of a clearing. By the look of the distance, Jin could see that it was a few hundred feet away. A small sigh left his lips as he balanced the Korikin blade on his shoulder. The damn thing was a bit heavy he thought. A few minor calculations might be able to lighten the 40 pound blade. After what seemed like a day to him, Jin finally padded up the small hill that Shurik was on. He dropped the blade point first into the ground next to him as he panted slightly " Should of...taken...a..break..." After a few seconds, Jin-E looked up at Shur " What happened? All i remember was fighting then blacking out"
He straitened himself as he saw two others. One was Icimdeki and the other was someone he did not know. By looking at the man, he could see that he was a soldier of sorts, with his gear thats what he guessed at least. " Hello their you two" He looked up to see another being that was a dragon. Jin bowed in respect to it before leaning on the gigantic blade that he had created. As Icim sat upon the ground, she brought her legs to her chest and stared out at nothing; mind stuck on Syn, for she wished no harm to him even though she had chosen to come with Ignis and help rebuild her life in Incendia. She was unrecognized here though she was of the upper class, and it didn't stop there. Icimdeki didn't know how to get around the town, for she never left her home. The only day she had, Incendia had fallen under attack. She'd found yet another area that she didn't know, but that she didn't have to know what stree to walk upon to get somewhere. Though she had not been at full potential there, it somehow pained her to see that place left in their dust, but as her eyes traveled over to Ignis and the commander conversing, Icim understood. As Ignis made his way to Icim, she found herself standing so that she could be ready for whatever he threw at her. Once he was close enough to her to suit him, her eyes were but a blue pool of colour; clear; blank, though she didn't mean for them too. She was confused now, not knowing what she could and could not do, but at the offer to actually go somewhere with him, she nodded. "As long as I am there with you.. I will be fine, I guess. Though you honestly shouldn't have to worry about me having to be alone out here; it's all that I know." Now Icim stepped forth and waited for Ignis to lead the way. Though it would be then that Icim turned to the familiar voice of Jin, the boy that she had met the day of the war. "Jin! It's nice to see that you made through the chaos." A soft smile formed of her pink lips now as she remembered the woman from the healers, and how Jin wanted Icim to apologize to her. "I think that I finally managed to apologize to the healer, if you even remember whom I speak of." Now she let her voice trail off as she looked about, a smile seeming to be stuck upon her face.